Perhaps I am getting steadily more greedy. Time, on the other hand, could be galloping faster and faster like a runaway bull. The long and short of it is that this time I am posting four things I want in my virtual and infinite Aspirational Corner. 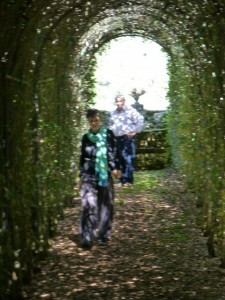 First, tunnels of evergreen oak, Quercus ilex as pictured left at Villa Cetinale, near Siena. The spangle-dangle disco look comes from the sharp sunlight piercing through. I suspect this plant material needs the Tuscan sun. gardens, compartmented by walls. The chickens had a walled garden entirely for their own amusement. A few fruit trees at their disposal for the picking over of mites and pests. I who have no room for a chicken, badly want this in my next life. Then two more things, pictured below. First, this pear tree. Pears tend to throw themselves into gawky, military growth. This one must have been trained with branches pulled down with wires during its formative growth. 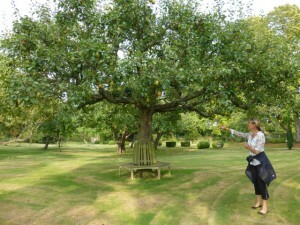 I would like to own this pear tree. 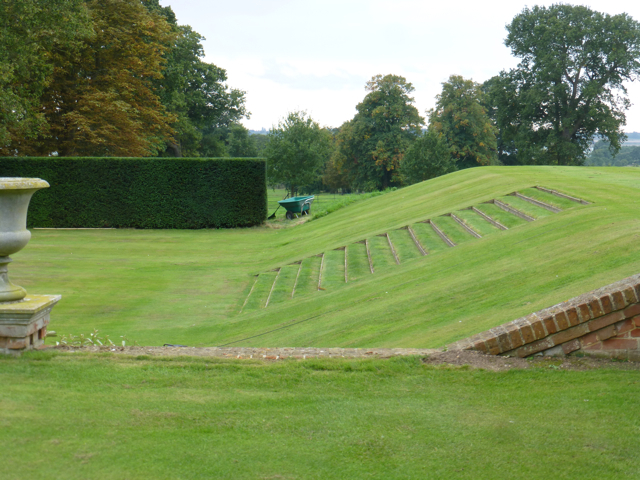 Last of all, should circumstances call for a large sweep of steps, give me grass ones like these any day. Next Post Plants by Post – do I rate them?